पहला – भाई ये 14 फरवरी को क्या है ? दूसरा – तेरे पास बीवी है या गर्लफ्रेन्ड ? 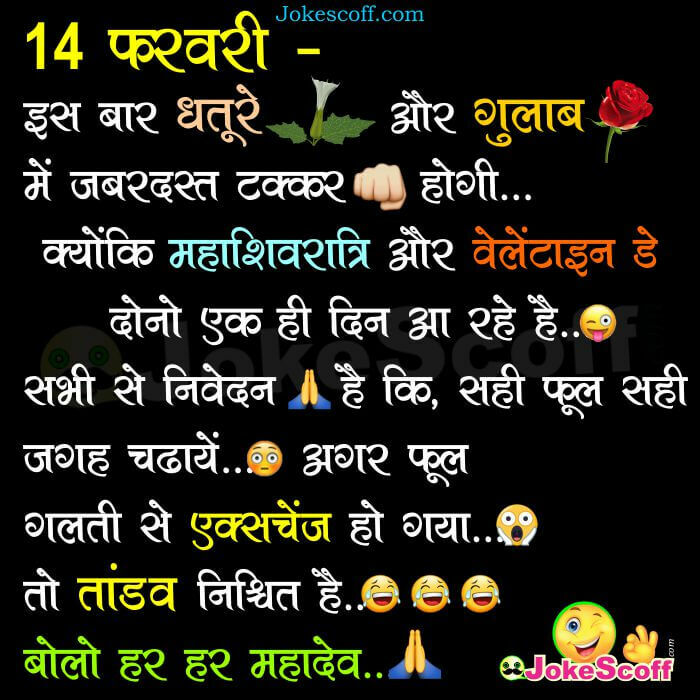 1st: Bhai ye 14 Feb ko kya hai? 2nd: Tere pass Wife hai ya Girlfriend? 2nd: To fir Maha Shivaratri hai. 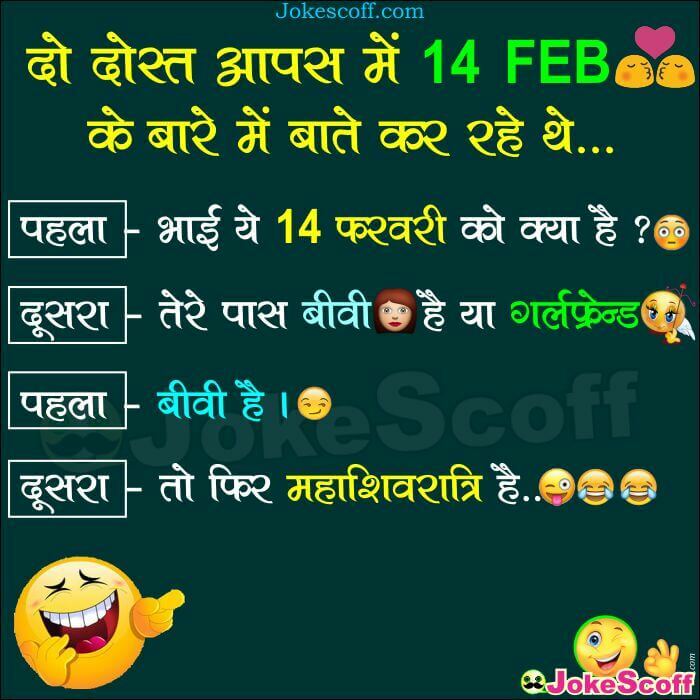 In Advance Happy Maha Shivaratri and Valentine Day Jokes in Hindi: I hope ki ye Two Jokes Aapko Pasand aaye honge. Is bar Maha Shivaratri and Valentine Day dono 1 hi din aa rhe hai 2018 mein. So is solid coincidence pe banaye gye ye 2 Jokes Pasand aaye honge. Agar jokes Pasand aaye to Like karein Share Karein. Thanks.